As part of a Blog Tour organized by Great Escapes Virtual Book Tours, I recently read Clues in the Sand by Terry Ambrose. 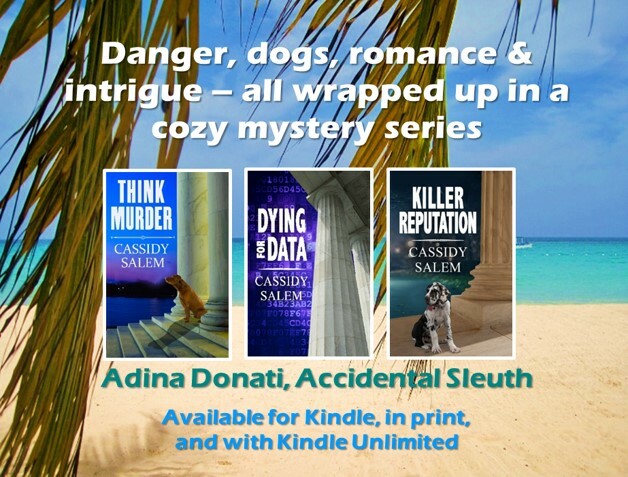 It’s the second book in his Seaside Cover Bed and Breakfast Mystery series but can definitely be enjoyed as a standalone read. Besides, who can resist the lovely cover? Rick Atwood is a devoted father who only wants the best for his over-inquisitive daughter and that includes keeping her out of trouble and away from murder investigations. Their relationship is heart-warming, and is complemented by the developing ties between them and a woman who works at the B&B, much of which is divulged as Alex writes in her journal. The mystery itself is an interesting one, touching on issues related to archaeology, real estate, and good old fashioned greed, complete with plot twists leading up to the discovery of the murderer. Click here to enter a rafflecopter for a chance to win a copy of The Clock Flower and a Starbucks gift card from the author.